Leaving a Legacy of Elegance… One Salon at a Time. Hafezi Collective Beauty (HC Beauty) equips salon owners to transform the cultures of their salons through education, products, mentoring, tools and sundries that develop them as leaders of consistently profitable businesses. Officially established in 2015, Stylists and Salon Business owners Arsalan and Arezo Hafezi had long envisioned distributing top of the line products and tools to salon professionals for improved quality of service. With a goal of producing the highest end result for their guests, they traveled to Italy to experience an organic line of hair care products named Organethic Pure Care. They fell in love with the culture, the story behind the product, and the unmatched result of the stylist created organic line. The Hafezi’s continued their journey through Italy to partner with Gamma Pui and 3VE Maestri for Zizi Joon Professional Hair Tools. These high performing hair tools paired with Organethic Pure Care products provide the salon professional the outlets they need to be successful. 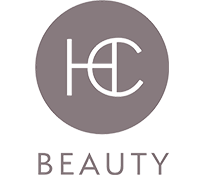 HC Beauty’s cutting edge Education Team and resources for marketing in your salon, contribute to a prosperous partnership. Contribution: Having a successful business is not an end in itself. It’s meant to serve a higher purpose; namely, sharing that success with others. Arsalan’s personal fulfillment is to contribute to others to spread our knowledge and experience. The industry is lacking in providing salon owners the tools necessary to become stronger, more aware as a business owner. We see ourselves as a channel, a means to support and give back to the industry in ways it has given to us. Integrity: Next to “Contribution,” Integrity is the value we treasure most, and the value that has the largest impact on who we are and what we do. But what does it mean to us? Our integrity the quality of being honest and having moral principals. Our integrity is about doing the right things the right way, following through on our commitments, and treating others with fairness and respect even if adversely affects our bottom line. This is what constitutes us as a company. Family: To be an employee of HC Beauty and to be a HC Beauty Partner Salon is to be part of a family. Kindness, care, warmth, empathy, genuine concern, support – this is family. We at HC Beauty do not believe the idea that “It’s not personal; it’s business.” Every business is made up first and foremost of people, people who deserve to be part of a family. It’s business and it’s personal. Knowledge: Arsalan Hafezi is fond of saying, “Knowledge is not power; knowledge is potential power – power that’s released only when it’s put into practice.” This is a crucial distinction to make in order to understand who we are as a company. We have no interest in training, coaching and mentoring that merely delivers information to the mind of the salon owners we serve. Instead, what we’re after is providing an educational experience to our guests that truly equips them to perform the actual, practical work their businesses need to thrive. Growth & Development: One of the things that excites us most about the opportunity we have with our partner salons is the privilege to help them achieve the dreams they have for their businesses. We want to see them grow and develop to the point where they realize their full potential. One of the many benefits our thirty years of experience in the beauty industry has given us is that we can see the potential that others don’t have the eyes to see. And to be able to communicate that to salon owners and to witness them truly believe it for themselves may be the single most rewarding thing about the work we do. There may be nothing more thrilling than to see a partner salon grow and develop into something greater than it ever thought it could be.